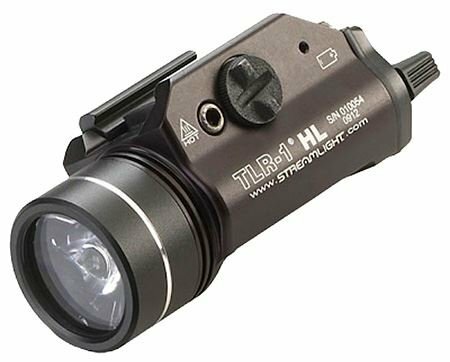 Streamlight 69260 TLR-1 HL Higher Lumen Rail-Mounted Tactical Illumination. 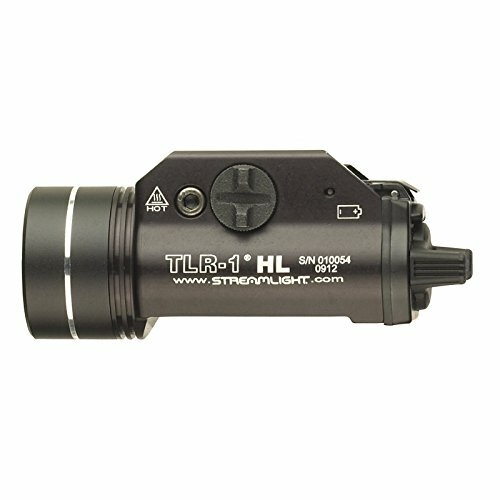 The TLR-1 HL provides a 800 lumen blast from lighting for max lighting while clearing a space or exploring a street. Its own vast light beam pattern, brighten huge areas so you could recognize who or just what neighbors. 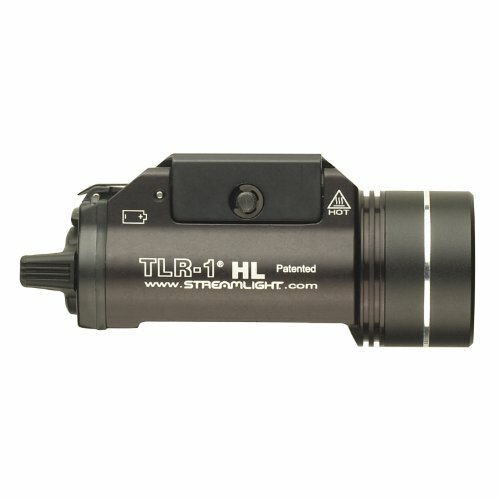 C4 LED supplies 12,000 candela top light beam intensity; 800 lumens. 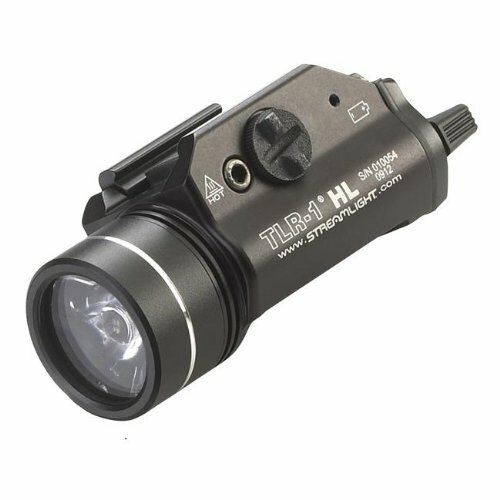 TIR optic makes a powerful light beam with ideal peripheral lighting. Runs 1.25-Hours. Solid-state existing regulation for consistent lighting degree. That has an ambidextrous momentary/steady On-Off switch. 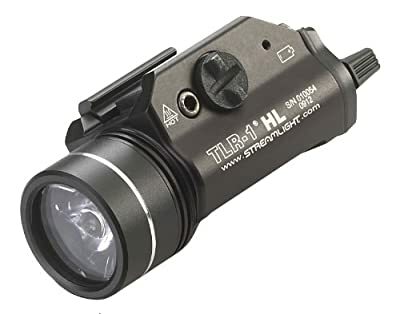 Double tap short-term paddle to switch on strobe light. Safely suits a vast series of tools; consists of tricks for Glock-style, Picatinny, Beretta 90two, S&W 99 and S&W TSW. Mounts straight to pistols with Glock-style rails and to all MIL-STD-1913 (Picatinny) rails. One handed snap-on and secure user interface keeps hands off of muzzle when attaching/detaching. 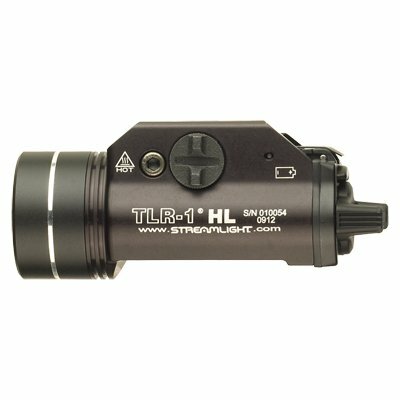 Made up from 6000 series machined plane aluminum with anodized coating and shock-mounted glass lense. Tethered battery door and latch system avoids battery door reduction while providing quick and easy battery replacement. Functioning temperature level: -40 to +120 Degree Fahrenheit. IPX7 waterproof to 1-meter for 30-Minutes. User programmable strobe light can be enabled/disabled. Powered through 2 3V CR123A lithium electric batteries (featured). Serialized for positive identification. Span: 3.39-Inch (8.61 cm); Weight: 4.18-Ounce (118.6 grams). Comes with a minimal life time manufacturer's warranty.